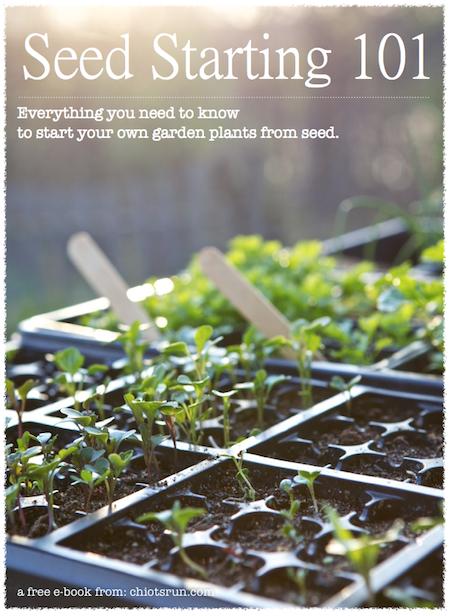 The 5×5 Challenge is all about educating and encouraging new gardeners. I’ve received a lot of e-mails already about people excited to join the Challenge this year. I thought I should extend the floor to the newbies – what do you want to see in the how-to/educational portions of the challenge this year? One recommendation is to grow climbing plants in the garden in order to show how to make/use supports for these types of vegetables. For the newbie gardeners: what questions do you need answered in order to fell comfortable with your garden this summer? For the experienced gardeners: what do you think are some of the important details newbies should know when it comes to growing edibles? I really like the idea of growing ‘up’. In a small space it’s a really valuable thing to know how to do! There are so many ways to do it, using what you have on hand – scraps of wood, saplings, old plastic or metal pipes, or building something beautiful from scratch. I think people might like to see some different options for growing vertically! I think something that it’s important for new gardeners to know is to not get discouraged if a certain crop doesn’t grow. It’s so cyclical based on weather, and something might do horribly one year and great the next. And, try to grow something new every year. I love seeing how the new things do. This year I think it’ll be Mexican Gherkin cucumbers… maybe some others as well. Last year it was Poona Kheera cucumbers and tomatillos. Actually, tomatillos were something I’d tried unsuccessfully before and decided to try again, very successfully this time. See, it pays to not give up! Susy, you did such a great job last year that I’m not sure I could give any advice on how to improve the 5X5. I’m not much into succession planting but it would be a good way to improve the growing season. All my tomatoes and cucumbers are vertically grown as well. I didn’t get through the podcast last Monday. It got up through Brian’s geeky corner about rebooting routers and such then just stopped and returned to the beginning. I tried it twice with the same results. Today I’m going to try a different computer to see if that works. Good luck with the 5X5 this year. Have a great Maine Winter day. I’m going to transplant some more onions today. All is doing well in the Urban Ranch seed starting station. One piece of information I like to share with people about my garden when they ask me is…I always plant something new each year that I’ve never planted before. It’s an experiment and sometimes a surprise at what results I get. When doing vertical gardening you can use items you already may have around the house so you wouldn’t necessarily need to spent extra money. I have found using zipties from my hubby’s stash to be very useful at times. I have been known to also use yarn to tie things up with. Can’t wait to smell the soil again! One thing newbies should consider is soil pH. It can make a lot of difference in some crops, and it’s an easy thing for beginners to overlook. Another thing newbies need to do is learn to identify pests. Often the first-year garden is surprisingly pest free, but by the next year the bugs have found the garden (and told all their friends about it, lol). One thing I always tell new people is don’t plant everything at one time. I probably plant 2-3 times a week through September. I may plant beets in mid March and they flop, but the ones I plant just a week or two later are amazing. I do this with everything. Plant several different things in the same bed and as you use something, plant something different. 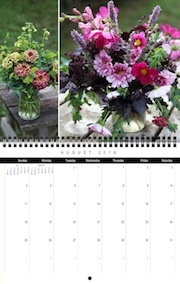 Finally, do something to amend the soil at least every two weeks…. My biggest failure is forgetting to give back to the soil often. When I do it right, my veggies are amazing. When I skip 2 or three weeks they start looking sad and neglected. The biggest factor in success my first year gardening was learning how to blend my own organic fertilizer and how to use it. To save time (and probably money) I now buy a similar blend from a local shop. I moved last summer and took over a garden bed with poor, sandy soil. Having a good organic fertilizer helped me still have success while I build up the soil. While I’m not new to gardening, I am new to small gardens. I grew up working a 30′ x 50′ garden that was worked with a plow and rototiller every year and then planted in long rows. Now that I only have a 5′ x 20′ garden I’m realizing that rows aren’t the way to go. Last year instead of planting rows I planted blocks, but I wonder if I could get more into (and out of) the garden if I did more with companion planting and even having two plants share the same ground (i.e. plant lettuce under my tomatoes or cucumbers at the base of corn). Perhaps if you focus on “growing up” this year, it would be helpful to also look at “ground covers”, or at least plants that can be planted with/under tall and large plants in order to maximize the space. Leave a Reply to Dennis L.